What can I send to Singapore? What items are restricted? Whether you’ve got an excess amount of baggage that you want to send separately to Singapore because it exceeds luggage allowances on the plane, or you simply want to avoid the difficulties that can arise when traveling with luggage, Send My Bag can help by picking up your bags straight from your door and delivering them to your destination. When travelling to Singapore for pleasure, you may be interested in taking part in some of the more extreme activities that is on offer, such as wakeboarding and skateboarding. If you already have your own equipment, why not take it with you? It’s not a problem for Send My Bag to pick up and deliver to your accommodation the oversized items that you wouldn’t want to carry through airports. Our service is also great for international students studying for their degree in Singapore or from those planning to spend a year abroad in Singapore. Send My Bag can help students quickly set up home in Singapore by shopping their possessions, including clothes, books and DVDs. If you are enjoying a city break in Singapore, or if you are moving there permanently, you can save yourself a lot of stress by sending your possessions with Send My Bag. This will allow you to bring with you lots of your favourite things to help you settle into life in Singapore. Your possessions will be looked after for you, allowing you to get on with exploring your new environment. Send My Bag has many international routes, with affordable rates for each route up to a massive 30 kg. This means that you can bring all your home comforts with you to help you set up home abroad. To find out more about sending luggage to Singapore, visit our ‘How it works’ page, or our ‘FAQs’. Cycling is popular in Singapore and there are plenty of great cycling routes to choose from, as well as many cycling tour operators. Why not ship your bike to Singapore with Send My bag and enjoy the Singaporean scenery from the comfort of your own bike. By sending your bike you can avoid exceptional baggage fees from your airline and save yourself the hassle of carrying a heavy bike to and from the airport. To find out more about shipping your bike read our bike shipping page, where you can learn how to best package your bike for safe transport. Despite only being a city-state, Singapore has a good number of decent golf courses, including Sentosa, Tanah Merah and Singapore Island. Why not try some of these golf courses while you are in Singapore using your own golf clubs by sending them with Send My Bag? Make sure you find out how best to prepare your golf clubs for transit by visiting Send My Bag's page on sending golf clubs. If you moving to Singapore permanently, you will have to do some research into international removals to Singapore in order to move all of your possessions. Before you hand over anything to the movers, however, ensure that all your items are carefully packaged so that they won’t get damaged in transit. Use appropriate packaging for your items and seal everything up well. 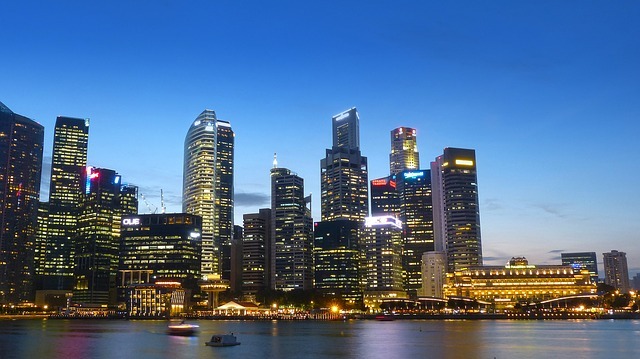 Singapore is a popular destination for international students due to its excellent universities, including the National University of Singapore, which ranks 12th in the QS World University Rankings. If you would like to study there, you can easily send your possessions with Send My Bag, which allows you to bring so much more than you could check into an airplane hold. Find out more about student shipping and how to receive your student discount by visiting our student removals page. You could send a parcel to Singapore with Send My Bag. This is a good option if you have left something back at home and you need a family member to send it on to you. Or, friends and family could send you a nice care package. Make sure you choose a good solid box when sending a parcel to Singapore and tape it up well so nothing gets damaged in transit. Also make sure you know about rules regarding personal effects and brand new items (see below). Take a look at our information page on how to send a parcel to find out what you can send with Send My Bag and how to package your items. As well as sending baggage, luggage and parcels to Singapore, you could investigate the following options for shipping items internationally, which are more applicable if you want to send large, chunky items like an armchair or footstool. Air freight is one option for sending big bulky items, such as a sofa or a wardrobe, to Singapore. Sending items by air freight usually takes one to two days, which is normally faster than sea freight shipping, but generally more expensive. What you have to pay will depend on the weight and size of your shipment. You will probably also have to use the services of a customs agent to handle customs clearance. And, you need to work out how to get your items to and from the airport, which means that costs could quickly mount up. If you send internationally by air freight to Singapore your items will likely arrive at Singapore’s Changi Airport. Instead of air freight, you could try sea freight or container shipping to move your possessions to Singapore. Again, this option is usually used when shipping large bulky items, like a dining table or a desk. Sea freight usually means shipping items in large containers loaded onto cargo ships. It can be less expensive than air freight, but you will still need to use the services of a customs agent and will need to sort out how to get your items to and from the ports, which means it could cost more than expected. When using container shipping to Singapore your items will most likely arrive by ship at the Port of Singapore. No problems at all, everything was delivered on time. Good service. Tracking service was reassuring (even if I couldn't actually control anything). From the time of order placed to receiving the bags, the process was smoothly fleet through and bags arrived on time safely, nothing was damaged. Customers are currently limited to a maximum declared value of $250 USD / £175 / 200€ / $300 AUD for shipments entering Singapore, in order to avoid delays with customs clearance and additional duty and taxes. The declared value is for customs purposes only and does not affect the level of Send My Bag Complimentary Cover selected at the time of booking. Further information is available on our FAQ page. Personal effects are usually assessed as used items that have been in the sender's possession for at least 6 months. If your bag is inspected by Singaporean customs officials and they find brand new or commercial items, you may have to pay customs duties and taxes. Do keep this in mind if you are sending Christmas gifts. Please check with Singaporean customs so you are aware of potential customs duties, follow any advice given and attach all necessary documentation. Customs processes and allowances do vary by country, so we advise all travellers take 5 minutes to check how their personal circumstances and what they are sending will be assessed under the prevailing Singaporean customs regulations. Many of the tourist attractions in Singapore are centred in and around the main cities and the beaches, of which there are 193km-worth - so there are plenty of activities for visitors to choose from. The Marina Country Club offers thrills for the more adventurous holidaymaker in the form of wakeboarding, and younger travellers will enjoy the Skate Park at the East Coast Park. Avid golfers will find their every need catered for with more than 20 courses and driving ranges scattered around the country. Shopping is one experience you can’t miss out on when in Singapore, whether you’re interested in tourist souvenirs, the latest gadgets at cheap prices or designer clothing. Singapore is a fantastic place to get a feel for South East Asia. If you’ve only got a small amount of time to explore, make sure you see the Chinatown Heritage Centre which features authentically recreated Singaporean homes from the late 19th and early 20th centuries.